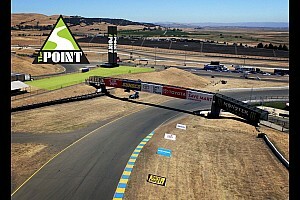 Montoya stretched his fuel to a remarkable 48 laps and cruised home to the win the Toyota/Save Mart 350 at Infineon Raceway in Sonoma, California. Montoya waged a furious battle with pole-sitter Jamie McMurray in the closing laps on the 1.99 mile road course. He finally took the lead with seven laps to go, but McMurray ran out of fuel five laps later. Montoya paced the final two suspenseful laps to claim his landmark win. "I knew it was going to be close," the 31-year-old Columbia native said in victory lane. "I tried to save as much (fuel) as I could." Montoya had an eventful day. He started 32nd and rubbed with Jimmie Johnson early in the race and then spun Kurt Busch while trying to pass him on lap 62. He also made contact trying to pass McMurray for the lead on lap 99. Then with eight laps to go, Montoya outbraked McMurray in Turn 11 but slid through the corner allowing McMurray to take the lead back. Montoya cleanly took the lead on the next lap by cutting inside McMurray on Turn 4. It was the first lap that he led in the Nextel Cup Series. 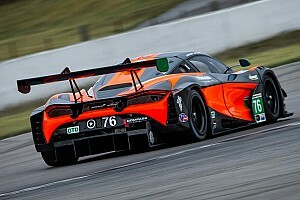 "I had a good run and outbraked him at the hairpins," said Montoya, the first non-American born driver to win a Nextel Cup Series race in almost 35 years. "That was the best place. To get my first Nextel Cup win is huge." 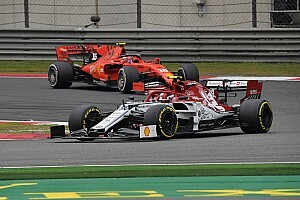 Montoya also gave Dodge its first win of the season and is the first non-Chevy driver to claim a victory in the new car. He also set a new track record for winning from the farthest starting position. No driver had previously won at Sonoma after starting further back than 13th. Montoya made a high profile jump from Formula One to NASCAR in the off-season and was anxious to prove that he could also win in this series. "It feels really good," said crew chief Donnie Wingo. "It's been a long time coming. To finally get a win for this group is great. We qualified bad but we had a really good car in practice. We had to play a little bit of catch up and we took a gamble at the end. He did a good job saving fuel. Without the fuel mileage, we never would have made it." Kevin Harvick trailed Montoya and McMurray and watched them battle in the closing laps, hoping they would run out of fuel before he did. "We knew we were close," said Harvick, who won the road course event at Watkins Glen last year. "I let the 42 (Montoya) go and really felt like I saved a lot of gas. We saved enough. That's what we had to do. You always want to win, but in the big picture we did what we had to do." 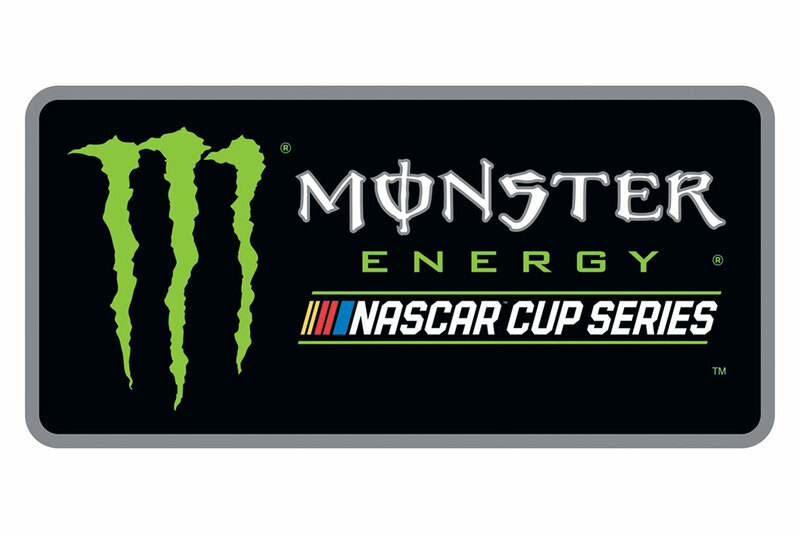 Harvick's Richard Childress Racing teammates Jeff Burton and Clint Bowyer finished third and fourth. They enjoyed solid races and took advantage of McMurray and Carl Edwards running out of fuel in the closing laps. "Obviously we worked really hard all last year and this year on fuel mileage and it paid off for us today," said Burton, who started sixth and was in the top-10 for a race-high 95 of 110 laps. "It was a good run for us. We ran competitive all race long." Points leader Jeff Gordon and teammate Johnson started at the back of the field after missing qualifying on Friday because their cars didn't pass initial inspection. 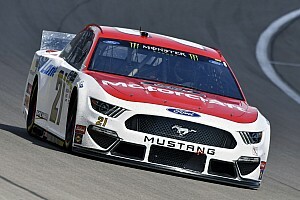 Gordon briefly took the lead on lap 78 before dropping onto pit road to top up his fuel and he lost a spirited battle for sixth place to Tony Stewart in the closing laps of the race. The defending race winner was thrilled to bring home a seventh place finish after a tumultuous start to the weekend. "My guys called this race perfectly," said Gordon, who maintained his lead in the championship point standings. "To come from that far back into the top-10 - we played the strategy the best way we could. It was fun to be able to come from that far back, but it was tough. I thought for a while we wouldn't be able to pass any cars." Robbie Gordon, who won this race in 2003, also started on the front row and grabbed the lead from McMurray on the first lap. He paced the first 34 laps before pitting and handing the lead over to McMurray. Gordon led a race-high 48 laps but fell through the field late in the race and finished 16th. Stewart started fifth, but veered off the course shortly after taking the green flag and slipped back to 13th. Stewart, who won this race two years ago, was back in the hunt for the lead after the mid-way point and took the lead from Robbie Gordon on a restart on lap 69. He surrendered the lead to make a green flag stop for tires and fuel on lap 76. Dale Earnhardt Jr. spent much of the first half of the race following Robbie Gordon, but passed him for second shortly after a restart in lap 69. He surrendered the spot to make a green flag stop on lap 72 and finished 13th. Despite starting at the back, Johnson jumped up to 15th place by lap 20 and took the lead while the lead lap cars cycled through pit stops on lap 36. He finished 17th. Matt Kenseth suffered a poor finish for the second straight week. After a dismal 42nd place finish in Michigan last week, Kenseth started 27th in Sonoma. He rebounded from an incident on the first lap to work his way into the top 10, but spun on lap 76 and finished 34th. He has slipped from second to fourth in the standings in the past two weeks. Canadian Ron Fellows made the trek to California to compete in the race after running second in the GT1 class and sixth overall in the 24 Hours at Le Mans last week. Fellows started 11th in the #96 Chevy regularly piloted by Tony Raines. He led three laps before the midway point of the race but had to come in with nine laps to go to top up his fuel. He finished 15th. Denny Hamlin put together the fastest lap time in final practice on Saturday before heading to Milwaukee to claim the checkered flag in the Busch Series race. On Sunday, Hamlin started 36th, but jumped up through the field and made up 20 positions in the first 30 laps. He took the lead briefly on lap 38 and finished 10th.